One of the most rewarding things you can do is grow your own plants for consumption or spicing purposes. However, you must prepare the right way if you want to be successful. Your choice of pot will ultimately determine how well your plants do, especially when it comes to indoor growing options. Pots come in a variety of shapes and sizes to house many different types of the best plant choices. The key is to research your preferred plants before buying the supplies that you need. Here is what you need to consider. 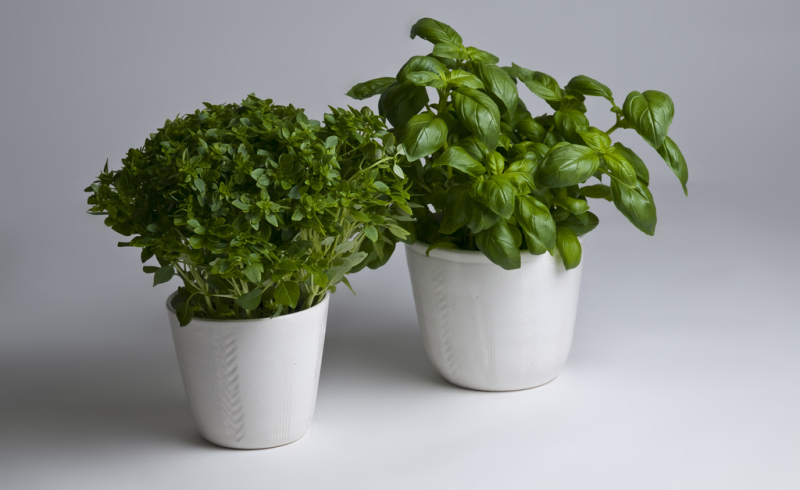 Taller, deeper pots, are well-suited for plants which grow taller. Plants like tomatoes need plenty of root space. The same can be said for larger varities of herbal plants as well. Root space matters because you do not want to stunt your plants’ growth. This might lead them to die, or to produce fruit of a lesser quality. Choose a small and shallow pot for smaller herbs like sage. bush-like herbs only need limited root space, and buying pots which are too big might actually cause them to grow slower. If you plan to grow indoors, then you really need to take your amount of space into account. Choose pots which are shaped so that many can fit into one area easily. This allows you to space your plants apart without taking up tons of room in the process. Hexagonal or rectangular pots are the best shapes for quality space utilization. Standard round pots often leave space between one another. You also need to consider how much space each plant will take up when fully mature. If they have larger branches, then you need to account for this fact. Choose pots which have plenty of drainage holes. Some pots come with drainage pans as well. If yours do not, then you will need to make one. So, why is it important to have holes in your pot? Holes allow excess ater to drain from the bottom of the pots so that your plants do not drown. When you grow inside they are not affected nearly as much by the environment. Holes in the bottom of your pots will make up for human error when you over water or feed the plants you choose to grow inside. Your choice of pot will dictate the success or failure of your growing venture. Some people choose to grow their plants as seedlings in smaller pots. These plants are then transferred to larger pots once they are big enough. You can avoid this hassle if you choose to grow them in one large pot from seed to finish. Make your pot choice wisely before you decide to grow.